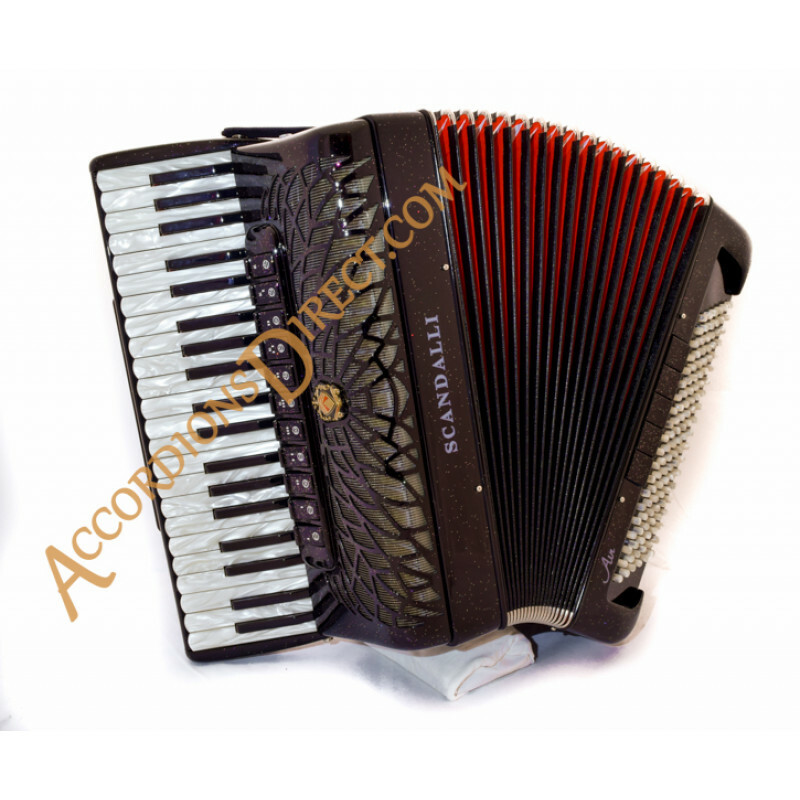 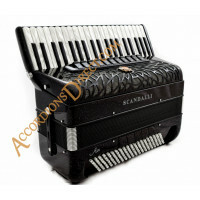 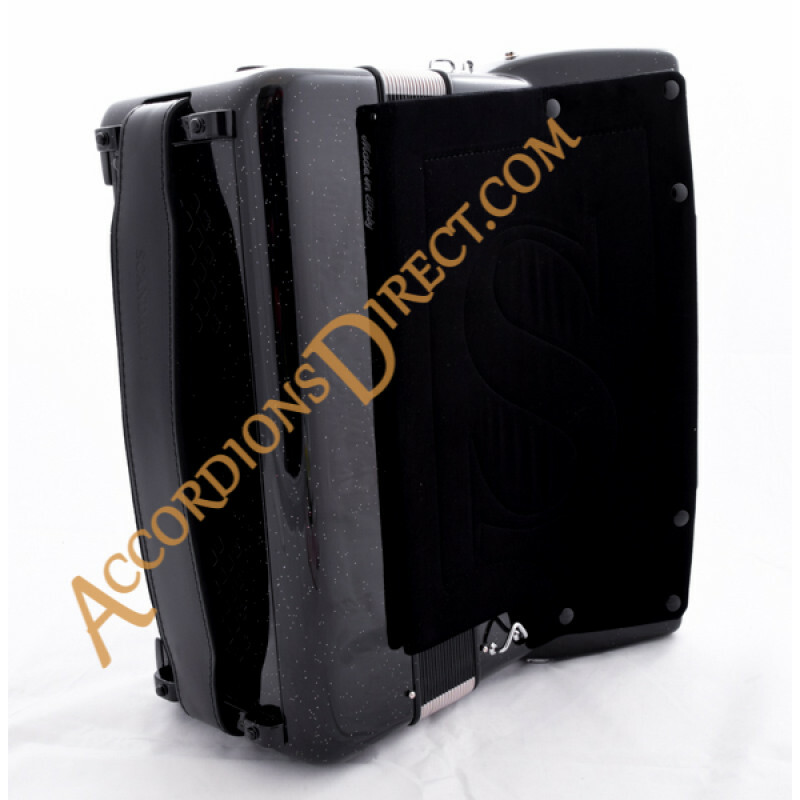 The Scandalli Air I S model is a full size but fairly compact bodied piano accordion with very high build quality and superb sound. 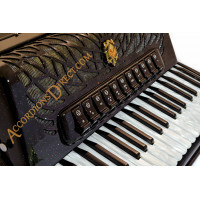 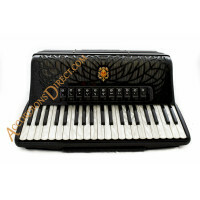 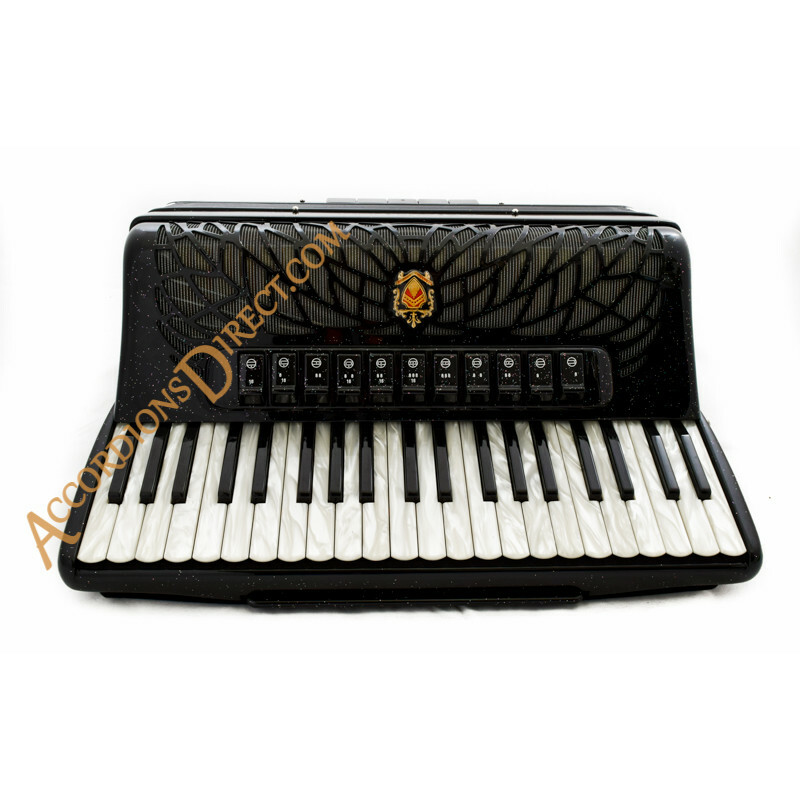 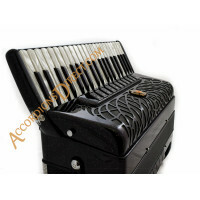 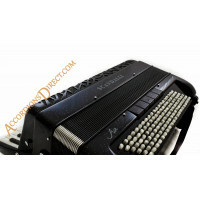 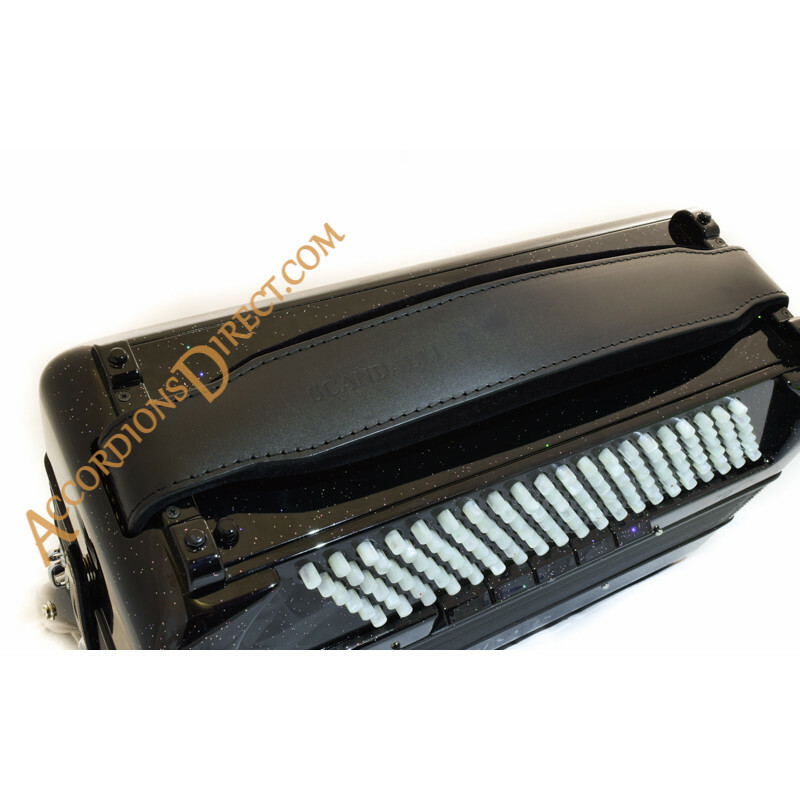 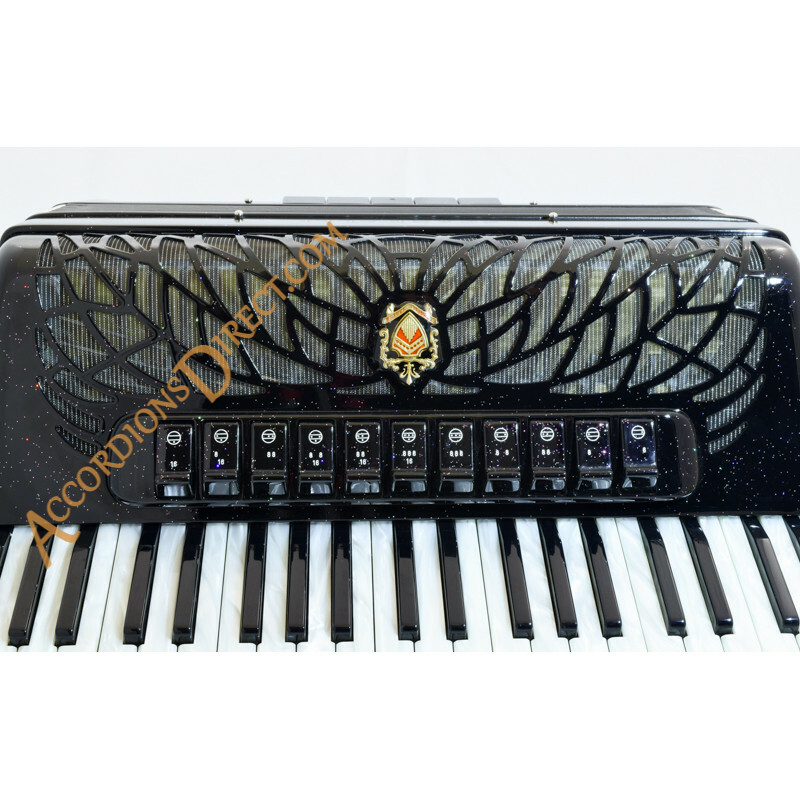 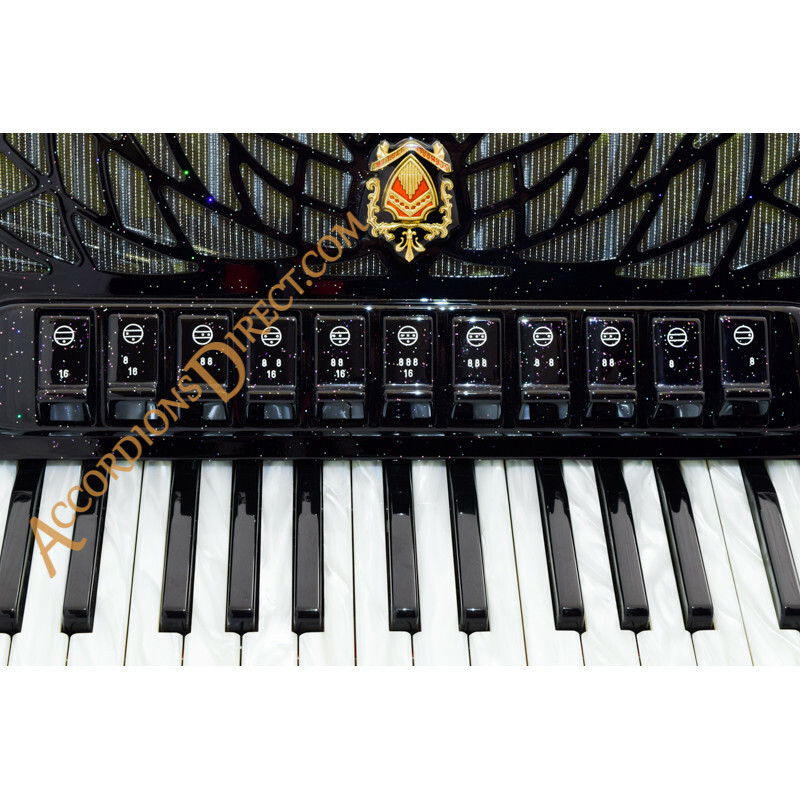 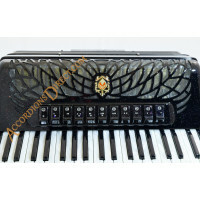 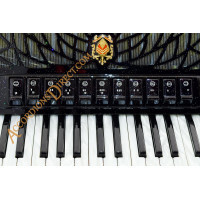 This instrument has 41 treble keys and 120 bass and is excellent value for a quality accordion. 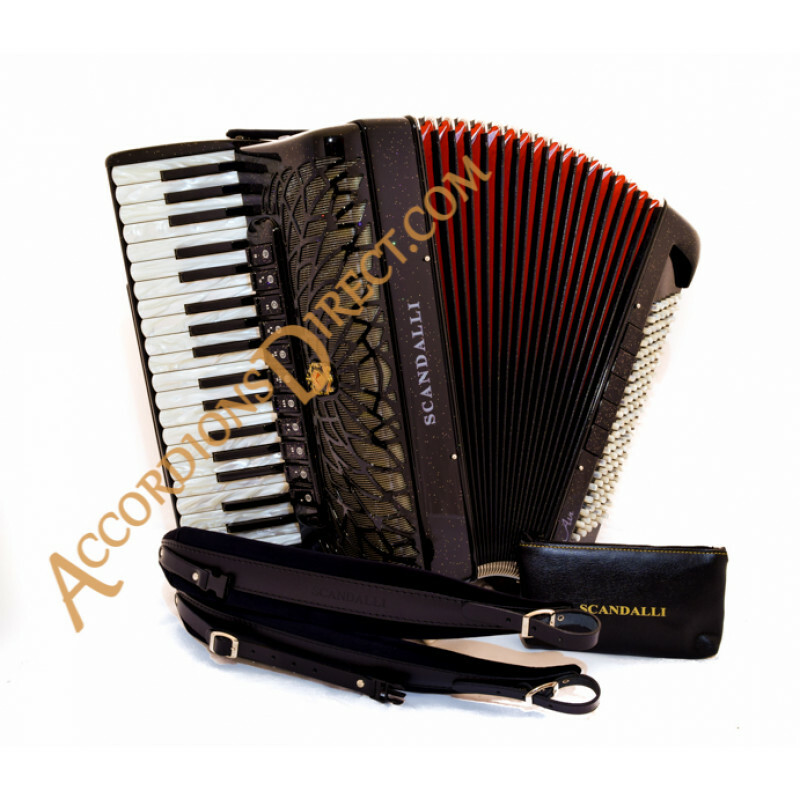 It is a 4 voice Scottish musette tuned model. 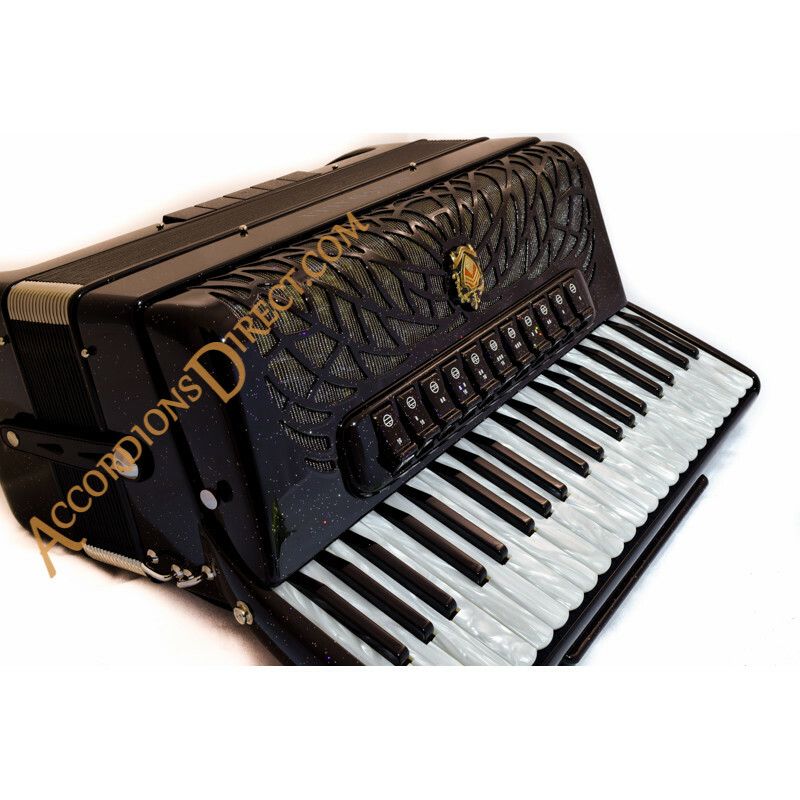 This particular instrument has a wider tuned musette than some – this tuning is often favoured when playing in a band – the accordion sound stands out. The sparkle finish gives added stage presence.